Switzerland are the Hopman Cup champions for the third time after Roger Federer and Belinda Bencic combined to topple Team Germany’s Alexander Zverev and Angelique Kerber 4-3 (3), 4-2. 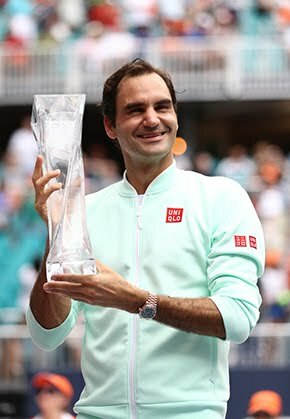 19-time Grand Slam champion Federer, who lifted the trophy alongside Martina Hingis back in 2001, won all four of his singles contests, whilst a rejuvenated Bencic helped maintain an unbeaten Swiss record in the mixed doubles. 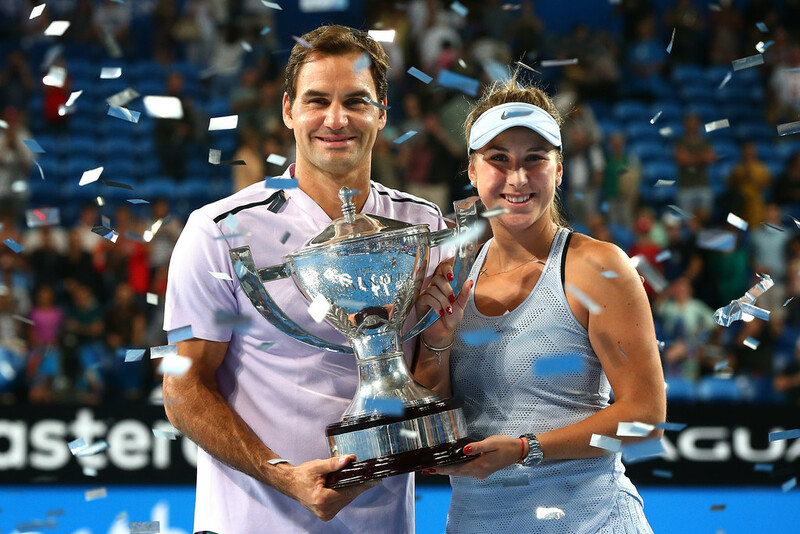 “I want to congratulate Team Germany for making the final,” said Bencic having lifted the trophy. “You played a great tournament and Angie was just too strong for me today. I’m so glad we made it in the mixed this time. Earlier, Federer outplayed Zverev 6-7 (4), 6-0, 6-2 to begin an enthralling final. The contest was levelled by Kerber defeating Bencic 6-4, 6-1. “I couldn’t be more happy, I thought I played great throughout,” said Federer. “Sascha definitely dropped his level a bit in the second and third sets, but I was able to take advantage of it and most importantly put Team Switzerland ahead. “I was trying to play as aggressive as possible. I’m maybe better when we’re closer together,” explained the reigning Australian Open champion. “The court plays fast, so it helps if you approach the net and do it the right way. It was working out well, so I thought I’d keep going until I had to fix it. That never happened, so I was able to cruise all the way through. Walking into meet the media after the final, both smiles were drawn from cheek to cheek, it was evident how much this meant to both players. “It’s kind of surreal. 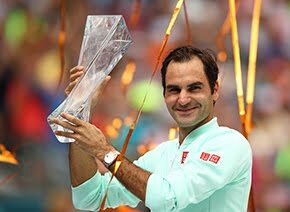 When you first play Hopman Cup you think you’ll be back every year, then all of a sudden, your plans change, your life changes and you have different preparations,” reflected Federer. Perth is a unique place for Federer. In 1999, he was a hitting partner for national tennis treasure Martina Hingis and Ivo Heuberger. In 2001 he lifted the trophy alongside Hingis and in 2002 he teamed up with his now wife Mirka. “Every trip has been very memorable for me,” recalled the world No. 2. “It’s a totally different feeling to when I won with Martina because I was the apprentice and she was the Master. Maybe this time it’s the other way round. “There is just a lot of positivity. It was a great week as a team, but also personally in singles I played great. I just have to pace myself in the lead up to Melbourne and I’ll be ready,” claimed the reigning Australian Open champion. “I’m just excited to go back to Melbourne, where I had my fairytale 2017 run.